The culture of Andaman and Nicobar Islands is distinct and unique and comprises mainly of two types of inhabitants – Indians and Natives. The former are mainly from the Indian Mainland especially from areas like Punjab, West Bengal, Tamil Nadu, Myanmar and Sri Lanka. The Natives are what makes Andaman and Nicobar Islands different from other parts of the country. They are the main reason why these islands have a wild aura about them. Andaman and Nicobar islanders are primarily divided into two major categories. 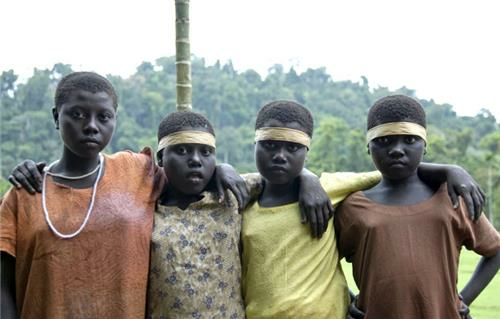 The Andamanese, Onge, Jarawa and Sentinalese of the Negroid population live in the Andaman Islands. It is believed that they migrated from Africa about thousand years ago, during the Paleolithic age. The natives from Nicobar Islands are equally old, if not older. 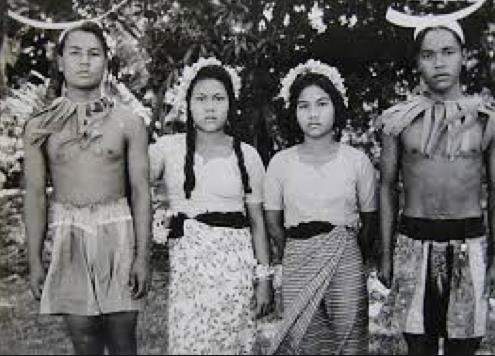 The Nicobarese (Nicobari) and Shompen of the Mongoloid origin constitute the Nicobar Island tribes. The indigenous people in the islands live in peace and harmony with each other and form a unique culture of their own. However, with the recent development, the culture of Andaman and Nicobar Islands has become a blend of different languages, religions and ethnic groups. The capital city - Port Blair consists of an international culture with people from all parts of the world settled here. The current list of settlers comprise of people from all religions including Hindus, Christians, Sikhs and Muslims who speak many languages from Hindi, Tamil, Bengali to Telugu, Punjabi and Malayalam. All religions, fairs, events and festivals are celebrated over here with equal amounts of zest and passion. Andamanese are the aboriginal tribes inhabiting the islands of Andaman. 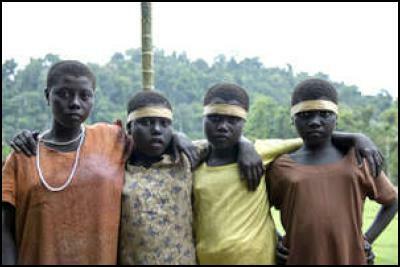 They are further divided into five major groups namely Great Andamanese, Jarawa, Jangil, Onge and Sentinelese. The Great Andamanese: Once the largest tribes in the Andaman Islands, the Great Andamanese were estimated around 10,000 during 1789. However, by the year of 1969, only 19 of them were left. The Great Andamanese used to be foragers and depended mainly on the forest for food. Now, they eat Rice, Chapati, Dal and cook using spices. Their traditional diet comprises of dugong, fish, turtle, crabs, pork and turtle eggs. Recently, some of them have even started cultivating vegetables and poultry farms. Onge: One of the most ancient tribes in the country, Onge people mostly stay at Dugong Creek in Little Andaman Island. Earlier they used to only depend on nature for food, however, with the recent development, they have been endowed with pucca houses, clothes, food, medicines etc by the Andaman Government. A primary school has also been set up at the creek. Jarawas: This tribe mostly inhabits the western coasts of Middle and South Andaman Islands. They are dependent mainly on hunting for food and water. However, the Ministry of Home Affairs, Ministry of Tribal Affairs and the Andaman and Nicobar Islands Administration have collaborated to make life more comfortable for them. To ensure that they have regular supply of forest food, the reservation area for this tribe has been increased to 1028 square kilometers. Moreover, exclusive wards at certain hospitals and primary health centers have been also set up for them. Sentinalese: The natives of this tribe mostly inhabit the North Sentinel Island in the Andamans. They are probably the only tribe from the ancient age who is not influenced by the outside world. They are considered as a subsidiary to the Onge and Jarawa tribes, who have maintained their original identity and have lost contact with the other main tribes. They are known for their aggressive behavior and therefore, never leave the island. The tribes living in the Nicobar Islands are collectively called the Nicobarese, however, they might have different names on each island. Some even call themselves as ‘Holchu’, meaning friend. Shompens: The Shompens inhabit the largest Nicobar Island called the Great Nicobar. They belong to the Mongoloid Race and are further divided into two parts, with the smaller part known as Mawa Shompens. Unlike the bigger division of Shompens, the Mawa Shompens are very shy and inhabit the coastal region along the river valleys. The bigger parts of Shompens are very hostile and frequently attack the Mawa Shompens. However, this has recently reduced a lot due to dwindling numbers of tribe members. The traditional clothes of the natives in Andaman and Nicobar Islands are very interesting. The Sentinelese Tribe in the Andaman Islands believes that they should have no link with the outside world and that is why they prefer to wear no clothes and move around naked. This tribe accounts for a very small amount of population in the islands. On the other hand, the dominant community of Jarwas dress themselves in necklaces made out of shells and barks of trees, armbands and other conventional clothing and jewelries. The partially civilized Shompens wear clothes only below their waistline. Out of the entire native population in the islands, only the Car Nicobarese locals have taken to modernization and wear some modern clothes and no longer restrict themselves to their traditional dresses made out of coconut leaves. Similarly, the Onge Tribe have also given up their no-dress culture and started wearing the traditional clothes of the islands. With time and development, the natives in Andaman and Nicobar Islands have changed their ways and adopted new and improved dresses and cultures. Besides the natives, Hindus, Sikhs and Christians living on the islands wear traditional Indian clothes consisting of Saris, Salwars, Dhoti, Skirts, Kurtas, Pants, Trousers, Pajamas, Shirts and so on. Being a multi-ethnic state, the locals in Andaman and Nicobar Islands celebrate each and every festival with a lot of enthusiasm. 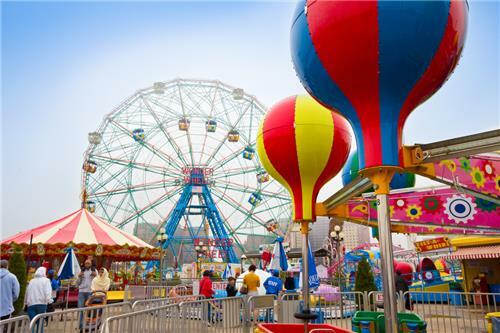 All the fairs and festivals in the city are very exciting and attract thousands of tourists from all over the world. Also known as ‘Mini India’, most of the festivals celebrated over here are very similar to the ones celebrated in the Indian Mainland. Along with welcoming Goddess Durga during Durga Puja, the Andamanese and Nicobarese also celebrate the festival of lights – Diwali with equal amounts of excitement. The festival of Holi is also celebrated with as much thrill. Onam, Christmas, Pongal and Janmashtami are among the other popular festivals celebrated in Andaman and Nicobar Islands. Besides above, the islands are also known for its Island Tourism Festival, which is the largest festival on the islands and attract a number of tourists from all parts of the world. It is an annual cultural event, mainly organized for promoting tourism in the islands. It is mostly held in the capital city – Port Blair, however, small programs also takes place in Wandoor, Wimberlygunj, Havelock, Neil, Rangat, Diglipur, Mayabunder, Car Nicobar, Kamorta, Campbell Bay and Hut Bay. This 10-day festival is usually held between the months of December and January and is attended by people from all of walks of life. From music and dance performances to shopping and delicious food, this event has it all. During the festival, the entire city is decorated with numerous stalls offering beautiful handmade crafts and lip-smacking Andamanese cuisine along with some stalls showcasing a wide collection of flora and fauna. However, the highlight of the festival is the many music and dance performances by renowned music bands, dancers, Bollywood singers and artists. Many performers belonging to the East and South Cultural Zone are also requested to perform by the Art and Cultural Department of the Andaman and Nicobar Islands. Hasya Kavi Sammelan, which is basically a group of prominent poets, is also prearranged by the Language Department for the entertainment of tourists. 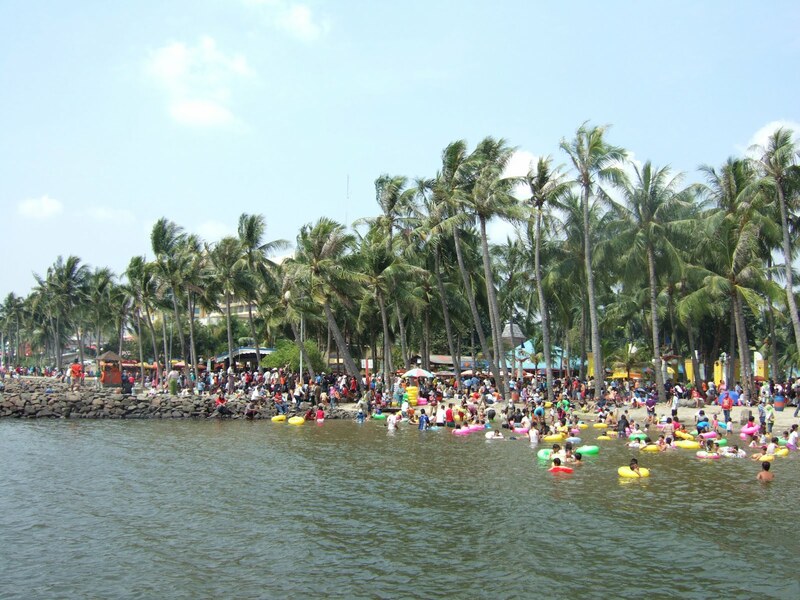 Apart from several stalls and performances, the festival is also known for its wide variety of exhibitions such as Puppet Show, Baby Show and Dog Show, along with exciting aquatic festivities such as Canoe Race, Scuba Diving and Floating Restaurants. Since the festival is attended by thousands of tourists and locals, to accommodate large crowds, the event is held at the Netaji Stadium in Port Blair. One of the most recently introduced events in the islands; the Beach Festival in Andaman and Nicobar Islands is mainly celebrated to satisfy the demands of beach lovers. Along with various beach activities such as Beach Volleyball, Tug-of-War and Kabaddi, this festival is also known for its numerous delicious food stalls, exciting entertainment programs and various other fun activities. Celebrated on the same day as World Tourism Day, that is, 27th September, Food Festival is another popular event in the Andaman Islands. This 4-day festival, held at the ITF Grounds in Port Blair, is known for its music, various cultural programs and different types of delicious ethnic food. Another popular festival among the tourists and locals, the Annual Film Festival is organized by the Information and Publicity Division of the Directorate in Port Blair. The festival showcases a wide variety of classic Indian films of different languages, which are screened at different venues and is free for the visitors. 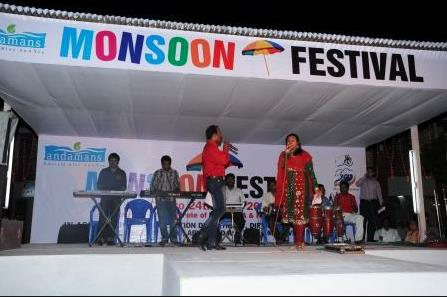 Held between the months of May and June, the Monsoon Festival is mainly organized to boost the tourism activities during these months. Music and Dance performances and various food and shopping stalls are some of the major attractions of this festival. Held every year in Diglipur between the months of January and February, this Mela is considered very important as it focuses mainly on the progress of rural life and people of the islands. Held annually in Havelock Island during the month of January, Subhas Mela is celebrated to honor the birthday of Netaji Subhash Chandra Bose. It is a week long festival with various interesting cultural programs. 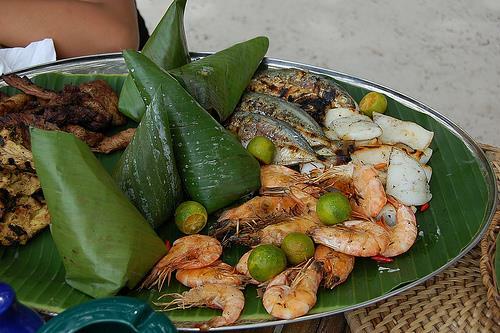 Being a cluster of 572 islands, Andaman and Nicobar are really famous for their seafood, which is found in each and every restaurant on the islands. Since Andaman and Nicobar Islands were mostly inhabited by aboriginal tribes, no particular cuisine was ever developed. The tribes were mainly dependent on hunting for food and mostly ate fruits, meat and fish, which is found in abundance on the islands. The Andamanese are very fond of fish and therefore, like to have fish with most of their meals. However, due to increasing tourist development in the islands, settlers from the Indian Mainland, who grew up here, have opened up various restaurants offering delicious Indian, Chinese and Continental cuisine. The food over here can mainly be classified into two groups – South Indian Food and North Indian Food. For centuries, people from South India have migrated to the islands and have settled here. Along with their cultures, these people have also carried their spices and food style to the islands. South Indian food generally consists of different varieties of Idlis, Sambhar, Dosas and Vadas, which are cooked using coconuts and spices. For people who have migrated from Kerala, their staple food consists of fish and rice, along with Banana and Jackfruit Chips as snacks. North Indian Food is very different from South Indian cuisine. While the latter is known for its aroma and spices, the former is known for its various curries and gravies. North Indian food also includes a lot of dairy products such as Paneer, Yogurt, Milk and Butter. Unlike South Indian Food, which is mostly eaten with rice, North Indian is accompanied by different varieties of bread made in the Tandoor. Like all the other states in India, Andaman and Nicobar Islands is also famous for its interesting and unique arts, music and dance styles. Tourist who want to know more about the islands and its tribes should definitely try to witness the age-old dance styles of the natives over here. 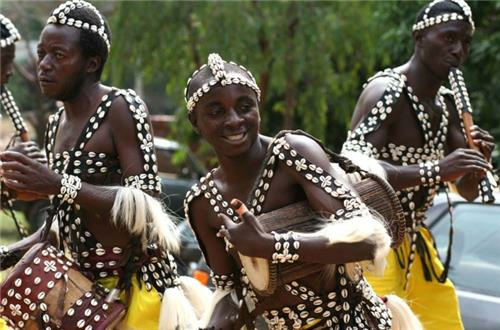 The various dance forms, which is many times accompanied by music, portray the true lifestyle of the natives over here. The islands are home to many different tribes, many of which have settled here from different parts of the world. Being a multi-cultural state, it is no doubt that the dance forms over here are unique and distinct. Nicobari Dance is one of the oldest and the most important dance forms of the Andaman and Nicobar Islands. This dance style is mainly performed by the Nicobarese from Car Nicobar Island. The most interesting fact about the Nicobarese Tribe is that they are the only ones, among the many tribes in the islands, who have not even remotely been influenced by modernization and civilization. They live in isolation and still adopt the traditional ways of living. The Nicobarese usually perform the Nicobari Dance during the Ossuary Feast or the Pig Festival. This dance is a way of displaying respect to the deceased head of the family. 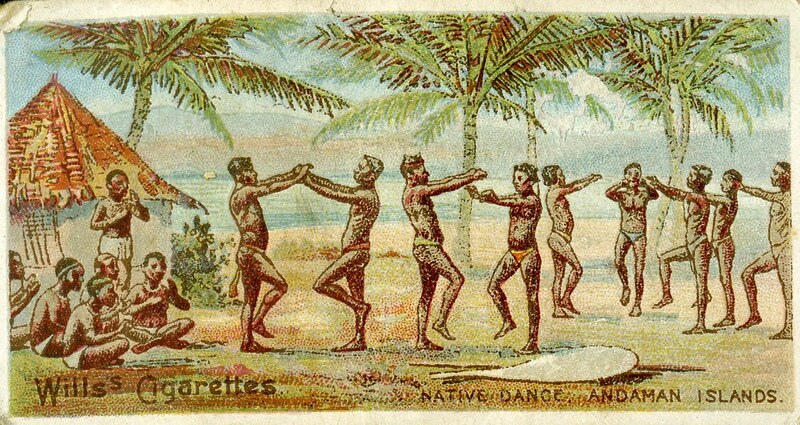 The dancers typically perform under a full moon, while wearing only coconut leaves and swaying to the traditional rhythm sung by the leader. Some folk dances can even be witnessed in the cultural programs during the famous Island Tourism Festival. While dance forms are mostly performed by the Nicobarese people, music is more prominent among the locals living in the Andaman Islands. The Andamanese are very fond of their music and thus, do not pay much consideration to other styles. Even among the Andamanese, the music styles differ from tribe to tribe. The Onge tribe is one of the most advanced and developed. Both male and female of the tribe usually sing together to accompany a dance. I am interest to perform programme at andamam .